Pro Tip: "We prefer the smaller particle size of the PT 565 Aerosol for faster results." CB-80 has earned an outstanding reputation for ultra-fast knock down and kill of cockroaches and over 20 other pests. It is ideal as a space or crack and crevice spray. CB-80 boasts a broad list of use areas, including restaurants and other food-handling establishments, meat packing and food processing plants, food storage areas, hospitals, supermarkets, motels and hotels, residences, utilities, and transportation equipments. CB-80 with pyrethrins has earned an outstanding reputation for ultra-fast knock down and kill of cockroaches and over 20 other pests. It is ideal as a space or crack and crevice spray. CB-80 boasts a broad list of use areas, including restaurants and other food-handling establishments, meat packing and food processing plants, food storage areas, hospitals, supermarkets, motels and hotels, residences, utilities, and transportation equipments. CB-80 is acetone-free, compliant with all current VOC standards and contains no ozone-depleting substances. The propellant and solvent have been designed to dissipate harmlessly in the air, eliminating the concern for ozone damage. CB-80 can be applied around electrical junction boxes. CB 80 contains pyrethrins, which come from chrysanthemum flowers. Pyrethrins have a low order of toxicity to warm-blooded animals and can be used in the home. CB 80 also has a synergist called piperonly botoxide, that increases the killing power of the pyrethrin. Pyrethrin aerosols like CB 80 are approved to be used around foodstuffs and is one of the safest insecticides to use in food plants. Pyrethrin also possesses substantial inherent repellency of insects. As an effective repellent, the pyrethrins in CB 80 will drive flies outside as well. Pyrethrin and the synergists are biodegradable and rapidly disintegrate in sunlight and air, thus assuring you that there will be no excessive build-up of insecticides dispensed in the area being treated. Kills a multitude of crawling or flying insects. What is the difference between CB-80 and CB-80 Extra ? There is no distinguishable difference. Pyrethrin is the active ingredient in CB-80. Kenya grows about 90% of the world's pryethrin supply. Due to crop failures and political unrest there has been an ongoing shortage of pyrethrin. Australia has entered the market and has a small but growing pyrethrin industry. International trade laws make them differently label the products which contain pyrethrin grown in Africa vs. that grown in Australia. Pyrethrin Plus label denotes that the product contains a mixture of Australian and African pyrethrins. As far as performance there is no difference. We prefer the smaller particle size of the PT 565 Aerosol for faster results. Crawling insects: Ants, Cockroaches, Crickets,Bed Bugs, Carpet Beetles, Centipedes, Silverfish, Spiders,Sowbugs ,Clover Mites, Millipedes, Ticks. Flying Insects: Grain moths, Chocalate Moths, Cigarette Beetles, Cloth Moths, Cluster Flies, Confused Flour Beetles, Fleas, Flies, Fruit Flies, Grain Mites, Granary Weevils Confused Flour Beetles, Red Flour Beetles, Drug Store Beetles, Saw tooth Beetles,Merchant Grain Beetles, Pantry pest, Horn Flies, Wasps, Bees , Flies, Yellow Jackets, Hornets, Gnats , Mosquitoes. I was going nuts with the cluster flies, stink bugs and japanese lady bugs, so when I used this product (which is way less expensive than hiring it out), I was amazed! It works great, and I can't say enough about how well it works!! Thank You! Kept getting stung by ground hornets when doing yard work last year. Sprayed this product into their nests in vole holes and it worked like a charm. This year I just discovered a bald hornet nest in a tree near the back of our house (after getting stung twice of course). I will be giving that nest the same treatment. Very pleased with the product. Did think the product lived up to its description. Was able to easily apply where needed. Was grateful that there was not a bad smell/odor/fumes as with most bug spray/insecticides. Would definitely purchase again. 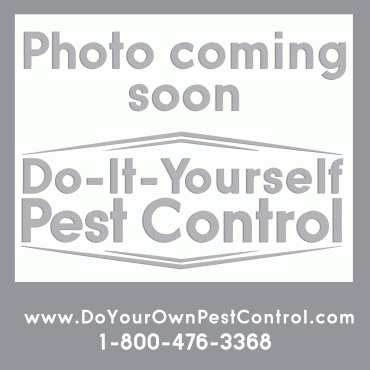 I have a pest control business and have been using CB 80 for a lot of years and it is the best flusher for roaches and fogging for any flying or crawling insects. It works on any insect. Just follow the directions. I us it religiously. I just bought twelve cans last week. I had already used a pyrethrin product (Robocan) when living in another country and knew it was very effective on getting rid of insects, but I just didn't know how effective it can be on arachnids. I just recently moved into a rented house in the woods and found out it was swarming with ticks. After vacuuming the house completely, I sprayed each room with CB80 and closed doors. Lastly, I sprayed dining room with kitchen and also into cracks of kitchen counter because this is where we saw ticks more often. Then I left the house and kept everything closed for about half an hour. It's been a month since I sprayed the house and no signs of ticks! The only disadvantage I see with CB80 compared with Robocan is that this one has to be sprayed manually and Robocan had a battery-powered mechanism that would spray the can every 5 or 7 minutes. I liked this because I could turn the can on and leave the house right away without being exposed to the chemicals. It would be nice if CB80 came with a similar mechanism because I was suffocating while spraying. We used this to kill yellow jackets in our siding , worked like a charm. Did the job...fast!!! Still plenty left over for the next invasion! For yellow jackets, it took 2 applications and worked fine. The product is everything that the description says and then some. Had a massive yellowjacket nest inside the head space of our 2nd story bump out. I drilled holes in the ceiling and used the product straw to reach the nesting area. It not only flushed the bees but killed off the nest. Knocked out the yellowjackets that made a nest in part of my roof. Thank you diy pest control for your guidance and expertise. cavity with the spray and I was able to drill small holes and insert the tube in the holes and let them have it. The product seemed to kill the nest completely with once application. Just be careful if you have pets or small children around. Expense yes but it works better then Raid type products. ONE OF THE BEST FOR HOME PROTECTION!!!!! I BOUGHT THIS PRODUCT AS A TRY-ME. Well we have purchase two more since then. This product really works folks. NO DOUBTS!!! We are so fortunate and happy to have found this Do It Your Self Pest Control. NOT ONE SINGLE REGRET...THANKS SO MUCH FOR THIS PRODUCT CB-80 INSECTICIDE!!!! Being a retired CPO I knew the results before I purchased this product. If you use this very sparingly it will produce wonders. My roach problem disappeared overnight. Quick delivery, fast service. Just don't overdo and follow the directions. We have small gnats and no seeums all over in Northern Florida and once they get into the house they hide until its dinner time. I tried many sprays but never resolved the problem until I used CB-80. I sprayed a few seconds in every romm and then we went out for a few hours. Came back and found many little bodies on the floor. Things have been quiet for a couple of weeks and no more bites at night. Will keep this on hand to keep them at bay in the future. CB 80 is a never be without product. I use it all the time for yellow Jackets and American Hornets. Just use it at night and follow up with a dust to get any that arent taken care of by the contact spray. Have been using this product for four years, same that professional exterminator service uses, very effective. Product killed some yellow jackets that I sprayed directly, but product did not eliminate the nest. This product did not work for me. I have a yellow jacket nest in the wall of my house, behind the brick veneer. I sprayed the yellow jackets gathered on the exterior wall surface around the nest entrance and I sprayed the product into the entrance which was a void in the mortar after it got dark. The spray killed about half of the yellow jackets that were gathered on the wall surface and the rest flew away. The next day the yellow jackets were entering and leaving the nest as if I never sprayed. I sprayed again as the jackets were coming and going, and I killed some, but a lot just flew away out of sight. Within 5 minutes or so, the jackets were entering and leaving the nest again. I sprayed 3 times in all, and I killed some jackets each time, but I never eliminated the nest. I used about half the can over all. At this point I'm going to wait for the cold weather then just seal up the crack in the mortar with concrete caulk. DIY RESPONSE: Sorry you weren't able to eliminate the entire colony. CB 80 is a contact aerosol, meaning the product has to come into contact with the yellow jackets via fogging action (if you get it into the actual nest), or it has to hit them directly. Typically a dust such as: Tempo Dust - http://store.doyourownpestcontrol.com/tempo-dust-cyfluthrin-tempo-dust is used for a residual effect to eliminate the remainder of the colony. Call us at 1-800-476-3368 if you require assistance. This product worked great. I had a nest of bees and sprayed this into the hole at nite and the next day there were no signs of any more bees. this product is great. I sprayed my house and do not have any bugs or insects; however spiders are very insistent in to come back. I want to know if it safe to spray weekly and if is effective to spray outdoors. I live in rainy florida and I don't know if the rain wash away the insectide. Thanks. We had a problem with Yellow Jackets nesting in our wall. We live in New York, and the powder that is used in conjunction with CB 80 isn't legal here, so following Walt's advice we just used the CB 80. It took three treatments, but there wasn't a single Yellow Jacket alive after that. Works better than what I can get locally. I have used CB-80 for a couple of years now and I find that it does a much better job of killing anything that breathes through its body like bees, wasps, ants, roaches, etc. The latest order came with the spray tube already attached like wd-40 does, where it is laying beside the can until you need to "lift it up" to spray. I like that. The spray odor is not bad but can be a little overbearing in a room, but dissipates pretty rapidly. I like the Pyrethrin over what the local insect sprays use and it doesn't leave an oily film after spraying either. This stuff works great. I applied once in my basement and around the house. Two days later I reapplied and have not seen the first spider or any. It has been over a month since second application. CB-80 definitely knocked out over some 500- 800 Social Bees!! Definitely helped kill off the Social Bee Colony that kept us out of our Spa and out of the Gratto!! It had become their property!! Sprayed all seems of dormer windows where lady bugs were entering. Had on average 50+ dead bugs per window per week. Now maybe 3-5 bugs or less per window per week and seems to be tapering off. Ok, so a bit of a ladybug infestation in our master bath. They come each fall and hit the side of the house. Thought this was going to become a major project. Just hid the electrical outlets, and every crack and crevice I could with this stuff. They were all gone within a day. I'm happy to say my wife has not given me a daily body count of how many she killed that day. Definitely recommend to anyone with the same problem. I used very little product and have plenty to spare for the yearly migrations of the lady bugs. CB80 insecticide performs exactly as stated. It doesn't have a bad smell, though it gets overpowering in a small room very quickly. The smell (fumes) also dissipate quickly. Found lots of dead moths, but no damage! I used this and it worked liked I never thought it would. The yellow jackets feel out of the nest like zombies. I would recommend this product to any one to see for yourself. Used this on ground nesting yellow jackets. One application with a follow up and no more stings. Love this product. I paid an exterminator $350 last summer to get rid of 3 yellow jacket nests in the walls of our summer home. This summer, when we had two more nests, I used CB-80 at night when the yellow jackets were all in the nest. I only used 1/2 a can and will have some left to address any nests next summer. Note - The FAA does not allow this product to be shipped by air. I attached the spray like tube to the aerosol can and sprayed two yellow jacket underground tunnels for about 20 seconds each at 11PM . I waited 30 minutes and applied the Tempo Dust insecticide around and in the tunnel entrances. I am completely yellow jacket free today. This insecticide is deadly and works like a charm ! Product woks as advertised. Seems to have killed on contact. I sprayed into the wall space and all activity stopped. Since the science behind this is to suffocate any pest that breathes through its skin, I use it on sugar ants in my kitchen, roaches-anywhere, any flying insects. All I do is spray under my kitchen sink and the spray does the rest (for sugar ants). They disappear within a few minutes. For wasps, I use the crevice tool to project the spray directly at the nest without using a ladder (usually about 10 feet away). I have used it on roaches and spiders and see results within 15 minutes - they die! I have been using this since I found out about it watching a show on TV (you know the exterminator guy that kills insects and controls animals). I've used this for years. Great in kitchen and bath areas for small flying insects. Works for those annoying tiny insects sometimes found around sink edges, mirror edges, countertop edges and corners. And - yes - it's not always easy to get the crevice tool inserted. This is a thin straw-like tube (a la WD40, etc) that - once inserted - is entirely useful to direct the spray along edges, corners, etc.